Founded in 2000, Cambrooke Therapeutics recognizes the critical nature of managing serious medical disorders through medically based nutrition therapies. 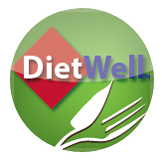 For people with serious unmet medical nutrition needs, it is a daily challenge to find flavorful, easy options that can sustain their diets and maintain their nutritional needs. Cambrooke Therapeutics (expansion of Cambrooke Foods) was founded in 2000 by Lynn and David Paolella, the parents of two children diagnosed with a rare disease called phenylketonuria (PKU). PKU is one of the few genetic diseases, which is managed almost entirely with nutritional intervention. The Paolellas’ goal in forming Cambrooke was simple – to develop improved nutritional therapeutic options for those with serious medical disorders. Cambrooke was the first medical foods company to launch a natural intact protein for the dietary management of phenylketonuria called Glytactin™ (modified glycomacropeptide) and Tylactin™ (modified glycomacropeptide) for the dietary management of Tyrosinemia. Cambrooke collaborates with academia and industry partners to transform early phase development projects in therapeutic nutrition into viable commercial products. Cambrooke employs scientific experts in the development, manufacturing and commercialization of nutritional therapeutics for patients with rare diseases. Cambrooke’s products are supported by clinical evidence for the nutritional management of medical needs before they are selected for commercialization. Cambrooke believes that both large and small patient populations are important when it comes to complex nutritional requirements. Acquired by Ajinomoto North America, Inc., a worldwide leader in amino acids, pharmaceuticals, high-quality seasonings, processed foods, beverages, and specialty chemicals. Glytactin Build™, the lowest calorie GMP-based formula is introduced. Expansion of KetoVie Café line of low-carbohydrate, convenient, ketogenic friendly foods. KetoVie™, the advanced liquid ketogenic medical food is introduced. Tylactin RTD and Tylactin Restore, the first metabolic formulas for the dietary management of Tyrosinemia containing a natural protein (GMP) are introduced. 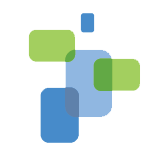 Cambrooke Foods expands, launching Cambrooke Therapeutics. 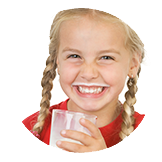 BetterMilk the first Glytactin with GMP product introduced. Cambrooke introduces the DietWell™ for PKU app for the iPhone®, iPod touch®, and iPad® – designed to assist families and individuals in the dietary management of Phenylketonuria (PKU).ed. 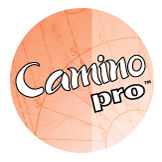 CAMINO PRO® Amino Acid metabolic formula products introduced. Cambrooke Foods founded by Lynn and David Paolella.